​Like many great ideas SPINNA was forged over a passionate conversation and coffee in a café in Paris, November 2009. SPINNA began life as a project run by Clothing Connect to engage with more women textile workers and company owners globally to encourage managerial and entrepreneurial development. In April 2010 Rupa Ganguli launched SPINNA as a unique foundation that has since run several programmes that further its vision of economic empowerment of women through trade and developing their businesses in the textiles and fashion sectors. This became SPINNA Circle. SPINNA Circle is made up of a network of textile groups called ‘circles’ locally and globally. These work on a ‘hub and spoke’ approach and are connected through an online dedicated networking platform. SPINNA Circle supports the growth of women entreprenuers and artisans across the fashion and textiles industry by linking them and providing training, mentoring and business opportunities. For women designers, artisans and entrepreneurs, this is a dynamic and interactive organisation offering training, mentoring, and business opportunities online and offline. For buyers, the organisation presents a source of new talent, skills and buying opportunities to expand retailers’ offerings and bring new exciting textiles and fashion to the customer. For business professionals and experts, it is a forum to work as mentors and provide business inputs to women in this sector. SPINNA Circle has partnered with the US State Department to showcase women in fashion in Kyrgyzstan and worked with the United Nations Agency – The International Trade Centre (ITC) to connect women in fashion and textiles to global markets. SPINNA looks forward to developing more projects with development partners to link women to markets. Internships and volunteering opportunities are available worldwide. 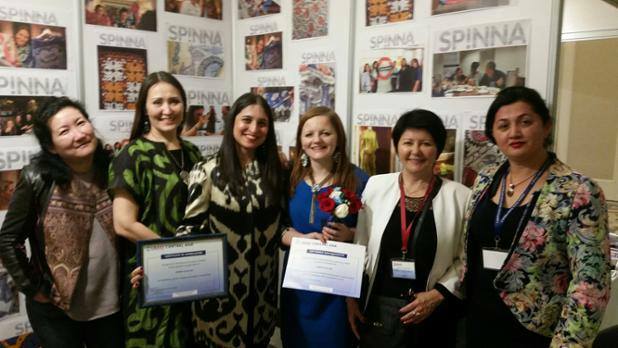 SPINNA Circle is a global networking and mentoring club with a focus on empowering and supporting women entrepreneurs in fashion and textiles. 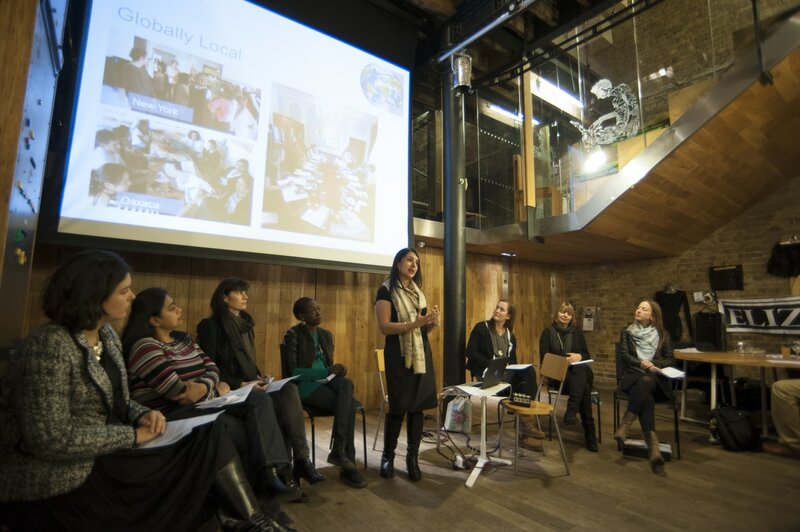 Join us to promote and connect research projects together to empower women in fashion and textiles globally. Founding team and members come together in the Netherlands. Organises an industry and expert roundtable to get inputs and insights from fashion labels to move ahead and understand market demand. An advisory group is created. A mandate for SPINNA is proposed, agreed and launched at the First Executive Roundtable in London in October bringing together key decision makers from fashion, interiors and textiles. A Trans-Mongolian Express Fashion Party marks the beginning of SPINNA Circle’s main activities in London. SPINNA Circle NatWest joint mentoring programme continues in full steam with cohort 2 and 3 over 2014. Founder Rupa Ganguli develops and conceptualises ‘Wear-A-Story’™ the e commerce channel as a next step to SPINNA Circle. Wear-A-Story™is trademarked. SPINNA Circle participates in CATF (Central Asia Trade Forum) in Almaty and organises a first Joint Central Asian Fashion event bringing together women entrepreneur designers from across all the Central Asian Republics of Uzbekistan, Kyrgyzstan, Turkmenistan, Tajikistan and Kazakhstan. 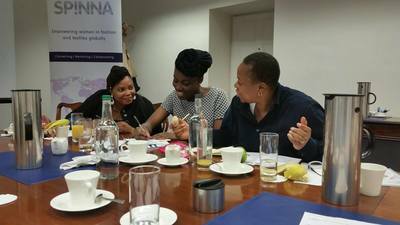 SPINNA Circle NatWest joint mentoring programme continues cohort 4 and 5 over 2015. SPINNA Circle has two more pop up events in London and starts marketing products over social media and online channels and enjoys great success in being able to start generating revenues. A first professional luxury showroom event in London with SPINNA Circle sees products flying off shelves. Brexit related uncertainties mean SPINNA Circle needs to adapt. 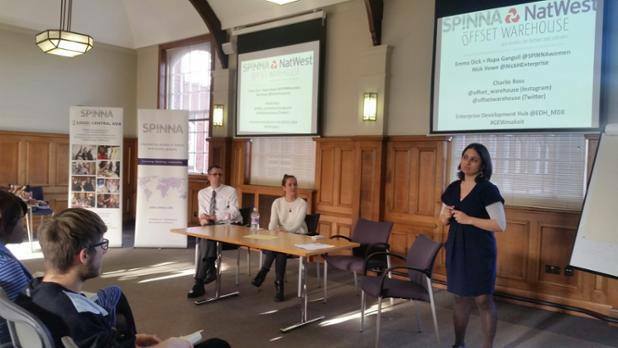 SPINNA Circle, NatWest and Middlesex University put together a first time plan to set up a series of short courses scheduled to start in November for women entrepreneurs in the fashion and textiles industry and recent graduates on industry and export competitiveness. The pilot testing of e commerce works very well. The idea and concept of Wear-A-Story is further tested and budget requirements and further market research on e commerce is put in place as an integral part of SPINNA Circle’s strategy. A plan for prototype launch is put in place for early 2017. Inclusive Trade Ltd is incorporated and set up after all the validation and interest generated with the concept of Wear A Story as a channel to market for small artisan entrepreneurs to sell B2C. Four SPINNA Circle members are profiled and have a platform to professionally sell globally through inclusivetrade.com for the first time with their products tagged to the impact. SPINNA Circle is also represented at the Forum with a stand through the event at the Atrium. Inclusive Trade enjoys a soft launch in the Gallery of the WTO and over a 100 people sign up as interested customers from around the world. Products receive great validation and interest from WTO staff and Forum delegates. inclusivetrade.com goes live as an e-commerce platform and starts trading globally in November. Founder Rupa Ganguli participates as a panellist and speaker about the case study of SPINNA Circle to Inclusive Trade and the trials and tribulations of e-commerce as a channel for small businesses TSDS event during WTO 11th Ministerial in Buenos Aires, Argentina. Over 500 unique items and 15 artisans now sell branded goods on inclusivetrade.com to over a 100 customers globally. Partnerships with The Lodge Space, with a focus on live events and community pop-ups. Creation of the Friday club bringing together creative industry professionals and artists at inclusivetrade.com studio. Nick Howe, Enterprise Manager, Diversity in Business at NatWest Bank, has worked for 18 years with businesses of all different shapes, sizes and sectors. "Spinna Circle was a inique experience for me and for all the artisan women. It helped us to look at our skills with new perspective"